Everybody feeling 2012 now? I think this weekend finally got me into 2012:) I was able to get some rest and catch up on some things around the house that have been terribly neglected;) Even got some time to work on a couple of cards. I've been super into CAS cards lately, and this card continues with the trend. This is my CAS version of "eat, drink, & be merry"! I love that this card could be used for all kinds of different occasions. The frosting and the champagne are paper pieced just for a little bit of fun. Not your typical holiday card and still pretty CAS, but fun all the same. I paper pieced some of the elements, but this could easily be converted into a one layer card for mailing. 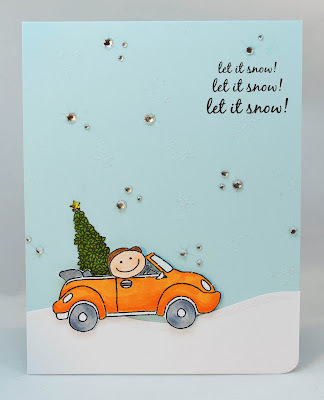 The snowy background is a combination of gems, stamping with glitter, and stamping with Versafine. And with that, I'm officially done with the long weekend. Thanks for stopping by! Can't wait to see all the SWEET Blog Hop posts! Genius!! That top card is so cute and clever and the bottom one is adorable! COMMAS?! Love it! Punn-ish and grammatically correct :) There's a comic out there who calls glitter the herpes of the crafting world..so that's what I call it too. Looks perfect on this card! 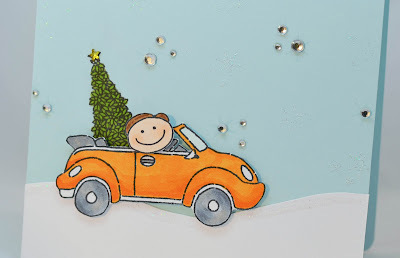 And I love the sky on your second card - and the super awesome orange car! And your Christmas card is fabulous! Love that little driving in the snow! JJ - You are so clever!! Your creations are always unique and original. First you hit me with the eat drink & be merry (love the glitter frame and the clean impressions on the stark white background). Then bam the Christmas card that has me shaking my head thinking why didn't I think of that????? The Christmas tree in the car, the snowy road, and that glittery background - Genious! JJ, these are both just Fab-u-lous!! 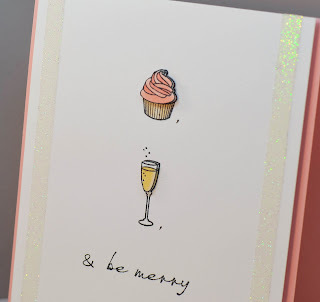 I love the top card and that it can be used for SO many different occasions and the second card - well, how CUTE is that little fella!! Absolutely adorable!! I love CAS so these are right up my alley. I particularly love the rhinestone snow. Inspired! Love your creations - so fun. JJ, these cards are SO cute!! Love the sweet CAS card and your Christmas card is so fun! Love them both!! These are absolutely WONDERFUL. I LOVE your first card, so cas and elegant and I love your second so adorable and sweet! OMG, love that concept--so clever! And the second card is ADORABLE! Great job with both!! Both cards are so great. The first one is so clever, and the second one is adorable. Wow, this is absolutely stunning. I love it. Love them both - so cute! Eat, drink, be merry - this is inspired and I love it!! And your Christmas card is just adorable. I think you've made fantastic cards! ACK, total cuteness, JJ! 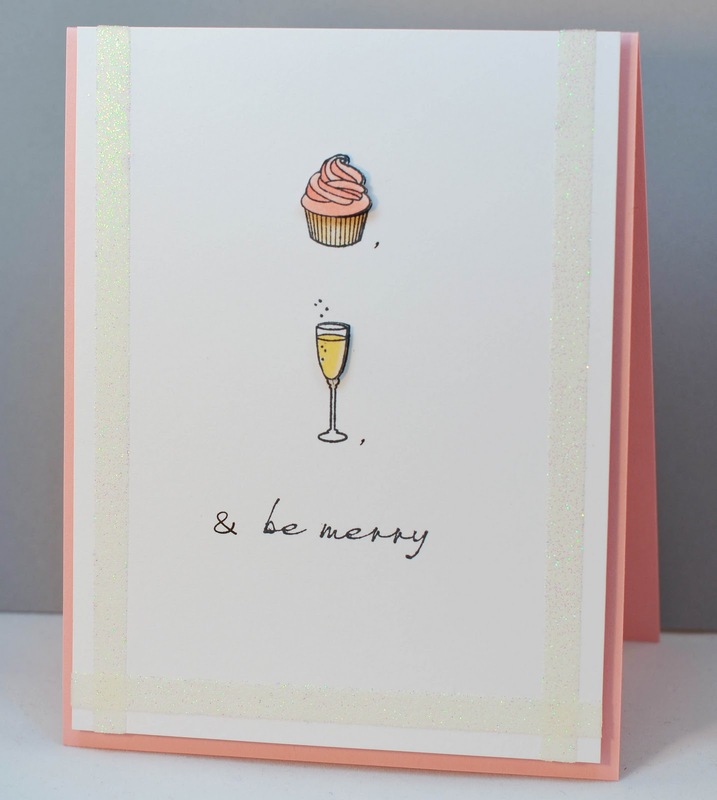 I just love the creativity of your Eat, Drink, and Be Merry card, so perfect! And that little driver toting home is tree is the cutest scene EVER! Awesome job with that challenge! 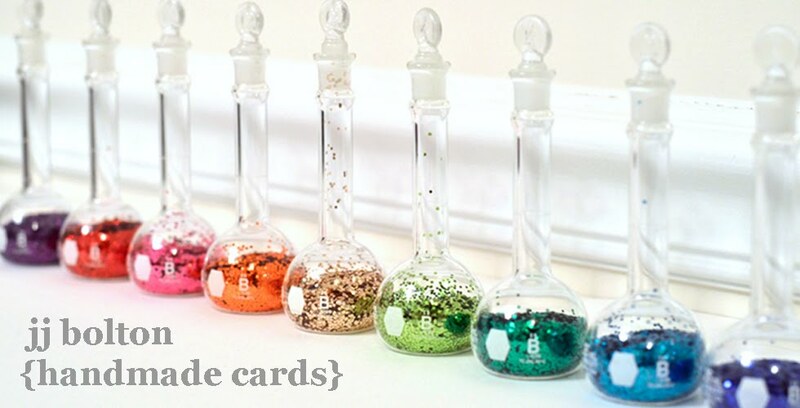 Your cards are just amazing! So unique! Love both of your cards - the first is so very clever and wonderfully CAS! Your car is SO cute with the tree and snowy sky! You sure do know how to do CAS, both of your cards are so cute. I love the punny Eat Drink and Be Merry card. I laughed out loud when I saw it and your card with the cute little guy and the Christmas tree and sparklies in the sky was so creative. Great job on them both. 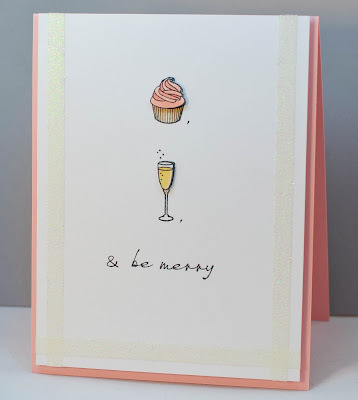 Okay, the eat drink & be merry card is just SOOOO clever! And the Christmas sky challenge card is wonderful. I love that little guy with the tree. Well done, jj! oh my goodness...both of these cards are just too sweet. The first one is just genius and the bling for the snow on the second one is so adorable. Your first card is just brilliant!! I wish I'd thought of that. And the second is so much fun and so creative. What a perfect card for the challenge! Your cards are both so incredibly creative! I love the first--it is just brilliant, and the second is just so darn cute! Great, great ideas! OMG!!! OMG!! OMG!!!! I absolutely LOVEd your first card, I thought it was pure genius, but can I just say that second card is just the bees knees!!! I know, I'm a little biased, but WOW! I never thought of doing that!!! These are incredible!! LOVE them both! Thank you so much for joining our WMS Blog Party!! I love the little 3D parts on the top card, so cute. I love the 'eat, drink and be merry' element!! Think I may have to pinch it! !